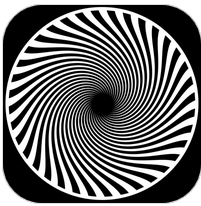 A new loop-record mode lets you play along, and capture each loop as a separate take. Pick the take that you like best, and insert it into your project with a single tap. Because the app records MIDI, you don’t have to worry about running out of space; just let the loops run, focus on playing, and then go back and find the performance that captures the magic! The loop import and export functions have been enhanced; you can import tracks easily from MIDI files, export a loop as a MIDI file, or export an entire project as multi-track MIDI. 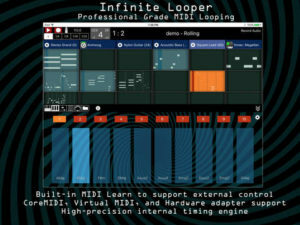 You can also import loops from other Infinite Looper projects quickly. And because many people have been asking for a Twitter Step Sequencer…. you can now tweet loops out, or import loops that others have tweeted. Seriously. And ok, no one asked for this, but now that you know you can do this, you will, right? Of course you will. 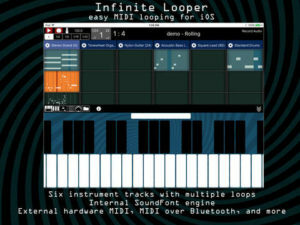 Infinite Looper uses the Ableton Link library, the Audiobus library, and the MIDIbus library. Internal sounds are from the SoundFont set by Christian Collins.